December 14th 2017, I defended my PhD research at the University of Groningen. 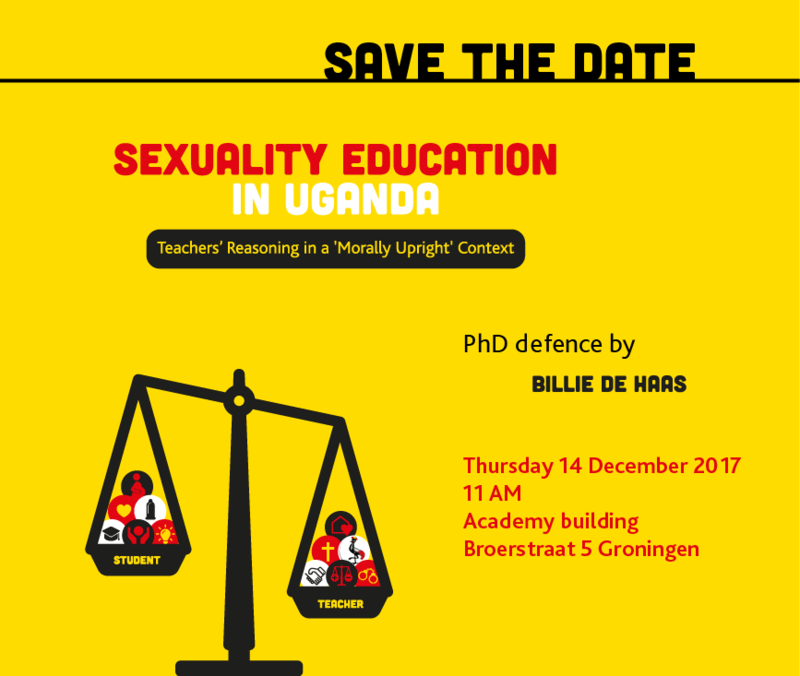 In this research, I worked together with the Dutch-based NGO Rutgers and Ugandan NGOs to improve the efficacy of school-based sexuality education in Uganda. Using in-depth interviews and lesson observations, I obtained a better understanding of teachers' motivations to teach sexuality education. For instance, I found that teachers feel motivated to teach sexuality education because they want to contribute to their students' wellbeing but that their professional identity and restrictive national and school policies can discourage them from doing so. If you would like to receive a copy of my dissertation, please contact me. I have written a practical guide for successful student-NGO collaborations on behalf of Share-Net Netherlands. This guide is not only useful for students but also for their supervisors and for NGOs who would like to hire students for research or internships. Great news this month: two of my articles were accepted for publication in academic, peer-reviewed journals! The first one is part of my PhD research about sexuality education in Uganda and discusses young people's perceptions of relationships and sexual practices in Kampala, capital of Uganda. 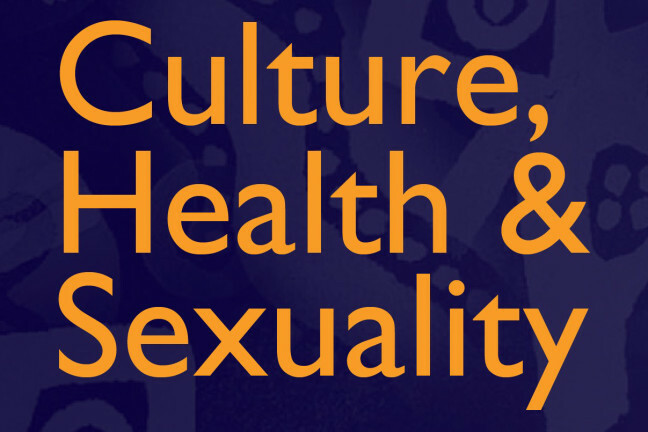 The second one I wrote together with Anke van der Kwaak (KIT) based on a qualitative research I conducted for Share-Net Netherlands about strengthening linkages between sexual and reproductive health and rights research, policy and practice in the Netherlands. On behalf of Share-Net International, I organised a New Year's event to disseminate the findings of seventeen Share-Net Small Grants projects conducted in 2014 & 2015. The event took place at Pakhuis de Zwijger, Amsterdam on Tuesday January 17th, 13.00-17.30hr. Click here for the report.